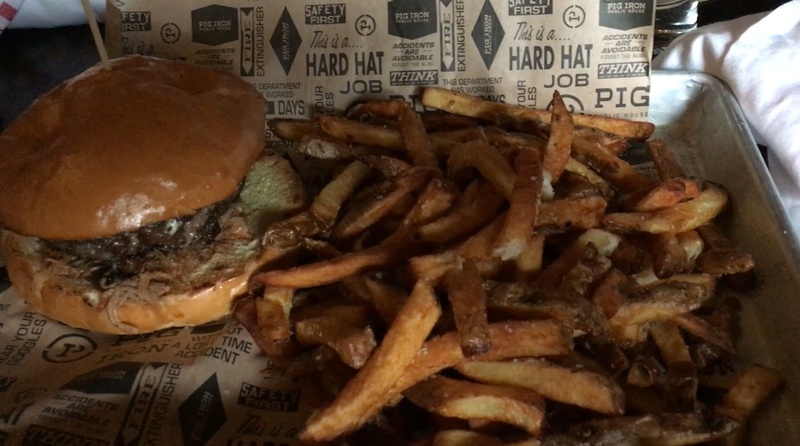 We’re all winners during Pittsburgh Craft Beer Week. 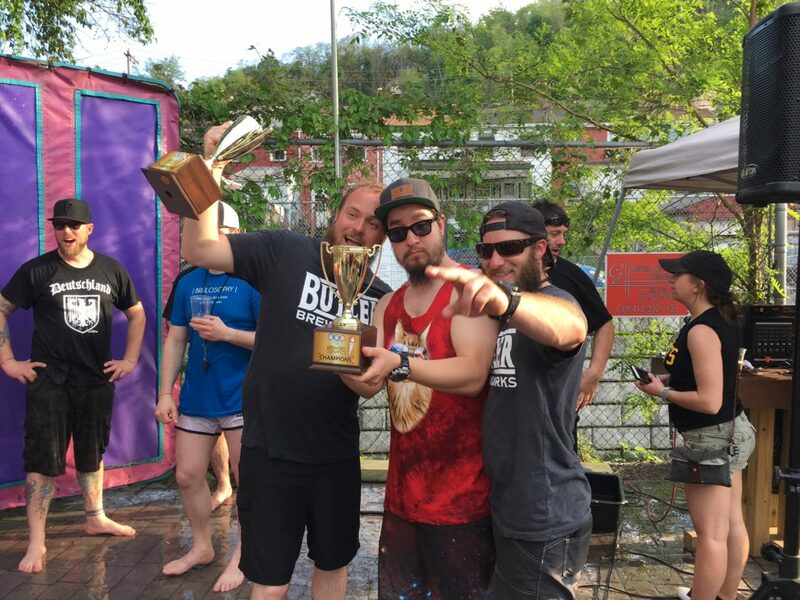 But these guys — Team Buthiker, from Butler Brew Works and Hitchhiker — won the annual Brewers’ Olympics on Sunday. My Pittsburgh Craft Beer Week was bracketed by two staples: the Commonwealth Press Beer Barge on the first Friday and the Brewers’ Olympics on the final Sunday. I know the calendar didn’t have as many events as in years past, but this iteration of PCBW seemed to be as busy as ever. How do I know? There were still several days during the week when I faced tough decisions about where I was going to spend my time. 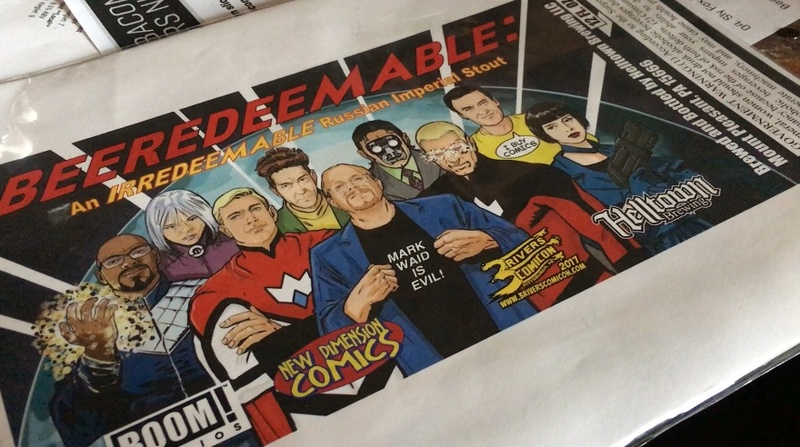 I made a point of getting to events I hadn’t attended in the past, and I tried to emphasize events that would get me a glass of new or special beer; that formula worked well, although there were still plenty of events that I wanted to attend but couldn’t. We’ll start with a stipulation: the beer barge, the breakfast at Piper’s and the Brewers’ Olympics will always be on this list. But beyond those, there was still plenty to like. This was the second year for Beatnik Brewers at Apis, but it was my first; Day Bracy was a great choice to emcee the show, during which brewers read their, uh, most colorful online reviews … and they picked some gems. David Cerminara from Apis teamed up with Rock Bottom’s Meg Evans to start a combo video-game tournament and beer festival, definitely the most creative new event I came across this year. And in a week with plenty of showcases for rare beers, I really enjoyed the Grist House cask event at Carson Street Deli, for its low-key focus on the liquids. Apis had a hand in three of my favorite liquids from the week, and one of those wasn’t a beer. The first thing I tasted on the beer barge was a lemon bourbon mead from the Carnegie meadery. I was blown away; fortunately I had a couple other chances later in the week to have a bit more. Apis also had a hand in Nebby Neighbor, an unofficial collaboration IPA with Helltown and Four Seasons, where it was brewed; the word “dank” comes to mind. Finally, I loved the Beard of Bees collab between Apis and Spoonwood enough that I brought home a bottle (and kind of wish I brought home two). In non-Apis news, I thought Dr. Yeastlove (Grist House, Bloom Brew, brewed at Helicon) was my favorite of the official collaborations; a close second would be Double Gose Seven (Eleventh Hour, Reclamation, brewed at East End). Last but not least, a plug for Interactive Exhibit, the collab (East End, Southern Tier, brewed at Hop Farm) brewed to benefit Brew: The Museum of Beer; it was a big, slightly boozy red IPA — and the kind of exhibit I’d visit again and again. Thanks to everyone who had a hand in the 2017 edition of Pittsburgh Craft Beer Week. Let’s do it again next spring, OK? 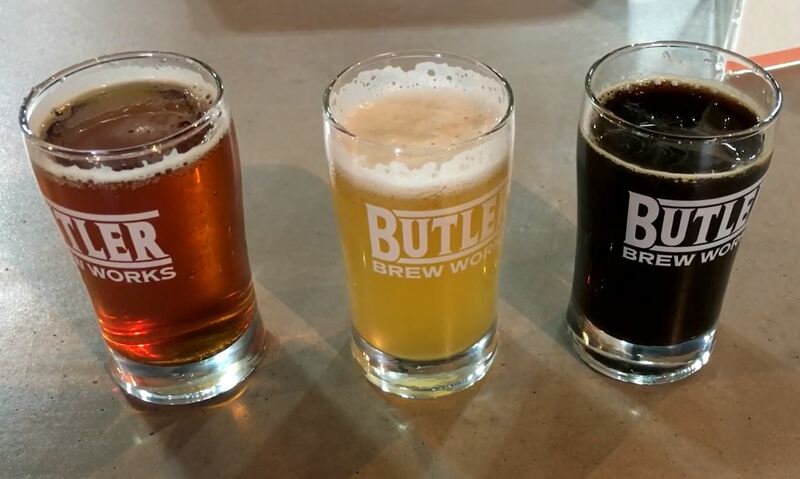 Is Butler Brew Works worth the four-year wait? After getting a taste of La Noche Triste, I’d have to say it is. 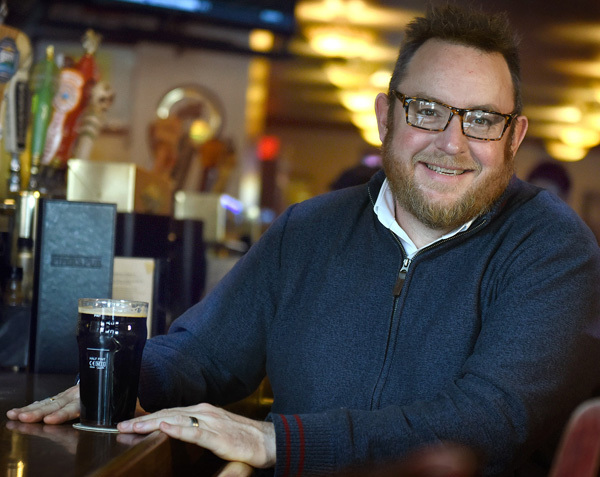 I don’t know if co-owners Travis Tuttle and Nick Fazzoni feel the same way; I suspect that they’re just happy to get their first six months as a working brewpub under their belts. It’s been a long time coming, after all. 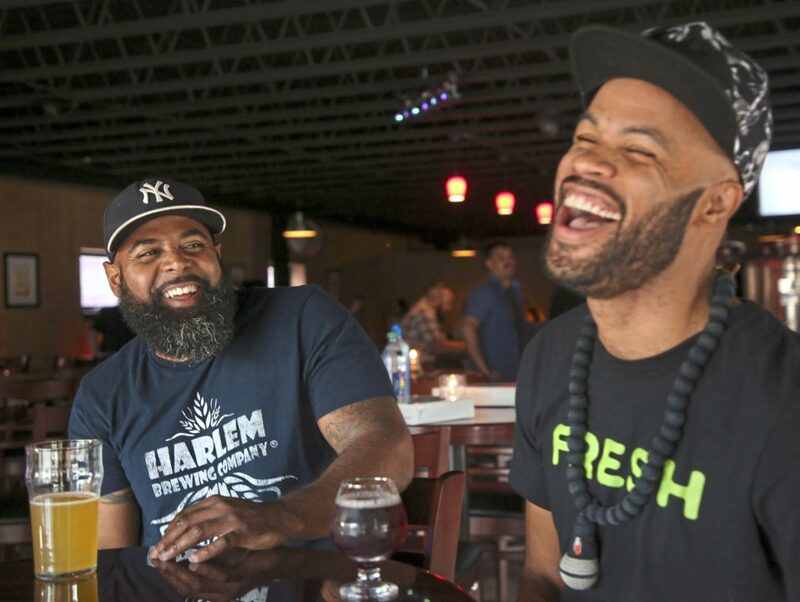 Mr. Fazzoni and Mr. Tuttle started down the road to open Butler Brew Works in 2012, but problems with their downtown Butler property — particularly the building that had been home to the Butler Hot Dog Shop, which had to be razed before any work on the brewery could begin — set them back financially and chronologically. But it’s best to not dwell on the delays now that Butler Brew Works is open and drawing people from around the region. And it’s not hard to see why. The brick building at Main and Jefferson streets is a striking contrast to the drug stores that occupied the corner for years; inside, reclaimed pallet planks covers one wall and the massive sign from Reiber Block, another building Mr. Tuttle and Mr. Fazzoni had to take down before they started, hangs on another. It manages to be sleek and modern while still feeling warm and inviting at the same time. Did I mention warm? If that’s what you’re craving, I’d suggest a glass of Machete, the double IPA that nicely masks its 9 percent ABV — until you’ve finished a glass — behind a swirl of piney citrus flavors. And then there’s La Noche Triste, the milk stout that gets an injection of locally roasted coffee — my sample had the Main Street roast from Butler’s Cummings Coffee and Candy — post fermentation. It is what I want for breakfast; the rich, creamy sweetness of the lactose sugars in the stout swirl with the roasted coffee for a perfect pint. Maybe Butler Brew Works could start serving breakfast as well?